Harriet first studied composition at the Junior Department of the Royal College of Music with David McBride and whilst there, enjoyed early success with a Commendation in the Joan Weller composition Competition. As a teenager she also reached the finals of the 1995 Schools Young Composer of the Year Competition, and saw her piece Winter for Choir and harp performed by the Choristers of Exeter Cathedral School. Harriet has continued to compose alongside her career as a professional harpist, specializing in compositions and arrangements for solo harp and harp chamber music. 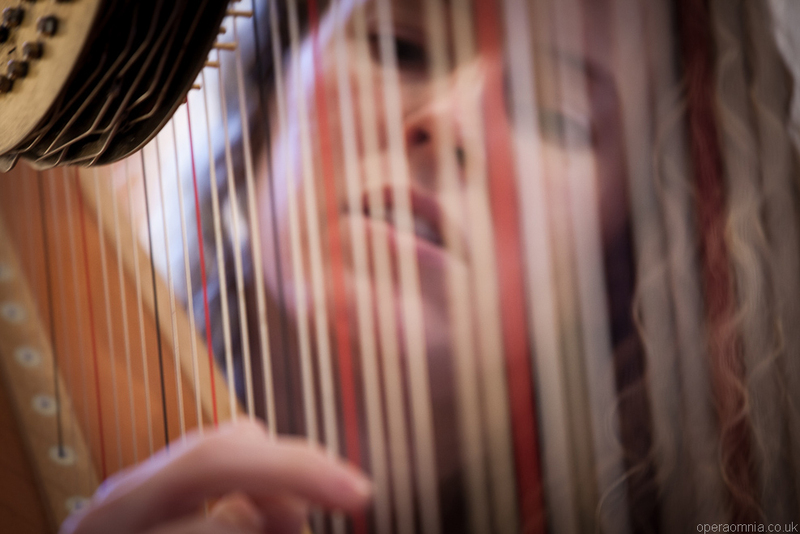 Her critically acclaimed composition, Sun, Moon and Stars for harp quartet, was selected for performance at the 9th World Harp Congress in 2005, recorded by 4 Girls 4 Harps in 2009, and has been broadcast as far across the globe as Australia. Her various commissions include Flight for solo harp, written for the Trinity-Guildhall harp syllabus, a 2003 work Songs of Beginning for harp and string quartet, and a 2007 song cycle for harp and children's choir Songs of Childhood, both commissioned by the Two Moors Festival. Her most recent work, Elemental (2012) for harp quartet, composed especially for 4 Girls 4 Harps, has twice been broadcast live on BBC Radio 3's In Tune program. Her arrangements of Christmas Carols for harp quartet feature on 4 Girls 4 Harps' 2013 Christmas album. On its release, the CD was given a 4* review by BBC Music Magazine and broadcast on both Classic FM and BBC Radio 3. In 2014 Harriet was selected by American online publishers, Harp Column Music, to be one of their featured arrangers and composers, making her music available internationally for the first time. Following on from this selection, her arrangement of Greensleeves for four harps was used by the Philadelphia Orchestra for their harp 'play in' day.